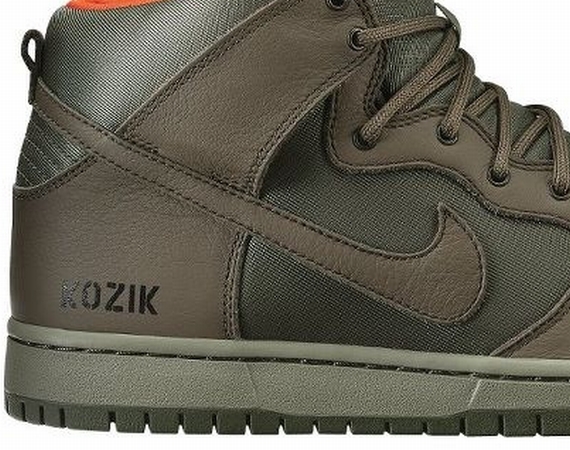 Nike Skateboarding provides a preview of an upcoming Dunk High collaboration with famous graphic artist Frank Kozik. Nike Skateboarding provides this preview of an upcoming collaboration with famous graphic artist Frank Kozik. The SB Dunk High Quickstrike features a tonal olive drab colorway with an orange liner, perhaps inspired by the MA-1 flight jacket. "KOZIK" is stenciled in black at the heel. 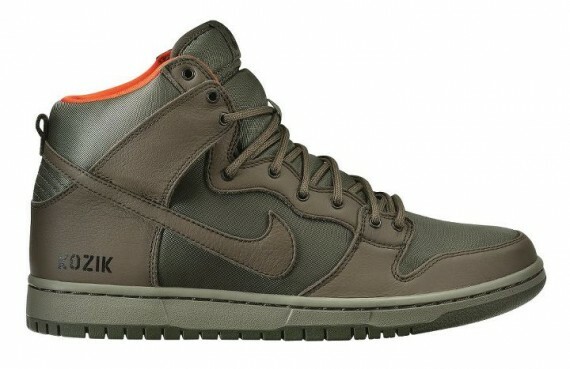 Stay tuned to Sole Collector for new details on the Kozik x Nike SB Dunk High.